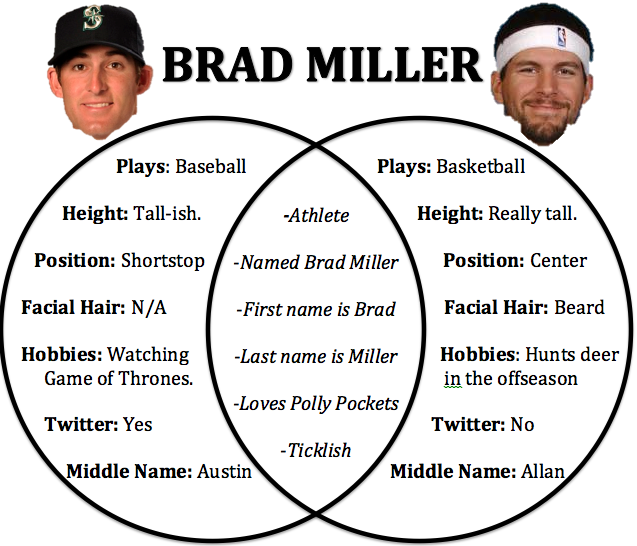 There are two Brad Millers. If you get them confused then this should help you. This entry was posted in Randomness and tagged Brad Miller, Double Identity. this reminds me of a daisy miller vs. daisy buchanan post i read on a certain get me some friends blog. you should check it.